THIS VEHICLE IS LOCATED AT BIRMINGHAM LUXURY MOTORS *SOUTHSIDE* 3501 4TH AVENUE SOUTH BIRMINGHAM, AL 35222 Sculpted in Sparkling Bronze Metallic, our 2016 BMW 3 Series 320i Sedan is raising the bar yet again with stellar performance and refinement! Powered by a TurboCharged 2.0 Liter 4 Cylinder that offers 180hp while paired with an innovative 8 Speed Automatic transmission. This Rear Wheel Drive truly packs a punch while scoring near 36mpg out on the open road. You'll thoroughly enjoy the responsive handling, agility, and connected-to-the-road feeling you'll have behind the wheel! The benchmark of sporty sophistication, our 320i sedan turns heads with its confident stance that is perfectly accented by unique alloy wheels, automatic headlights, and fog lights. The 3 Series cabin greets you with a wealth of amenities including remote keyless entry, push-button start, automatic wipers, and dual-zone automatic climate control. Settle into the supportive seats and check out the cutting edge technology such as our iDrive interface with a prominent display, Bluetooth connectivity, and superb sound system that puts all of your favorite music right at your fingertips. Drive with confidence knowing this highly desirable BMW has been masterfully engineered with anti-lock brakes, traction and stability control, advanced airbags, and emergency telematics. Reward yourself with the driving pleasure and comfort that can only come from BMW 3 Series! Print this page and call us Now... We Know You Will Enjoy Your Test Drive Towards Ownership! THIS VEHICLE IS LOCATED AT BIRMINGHAM LUXURY MOTORS *SOUTHSIDE* 3501 4TH AVENUE SOUTH BIRMINGHAM, AL 35222.A stand-out in Ruby Black Metallic, our 2016 BMW 650i xDrive Coupe delivers confidence, style, performance and so much more. Under the hood is a Turbo Charged 4.4 Liter V8 that unleashes 445hp and is connected to a paddle shifted 8 Speed Automatic transmission. This team takes our composed 650i from zero to 60mph in 5 seconds and scores near 24mpg on the highway with All Wheel Drive handling that can only be described as brilliant. Attractive alloy wheels accentuate the profile of our 650i. Inside the lavish cabin, you'll find attention to detail with an intuitively designed dashboard as you relax in ultra-comfortable sculpted leather seats that feature 16-way power adjustments and memory functions. Experience a seamless connection to your digital world thanks to our splendid voice-controlled iDrive electronics interface with Bluetooth, a nine-speaker sound system, and navigation. Our photos show a stylish exterior but you need to get behind the wheel to truly experience our 650i. It will capture onlookers' attention and make you smile a little more; but it's not just about power and prestige... BMW's reputation for safety holds true with this well-engineered machine. Print this page and call us Now... We Know You Will Enjoy Your Test Drive Towards Ownership! 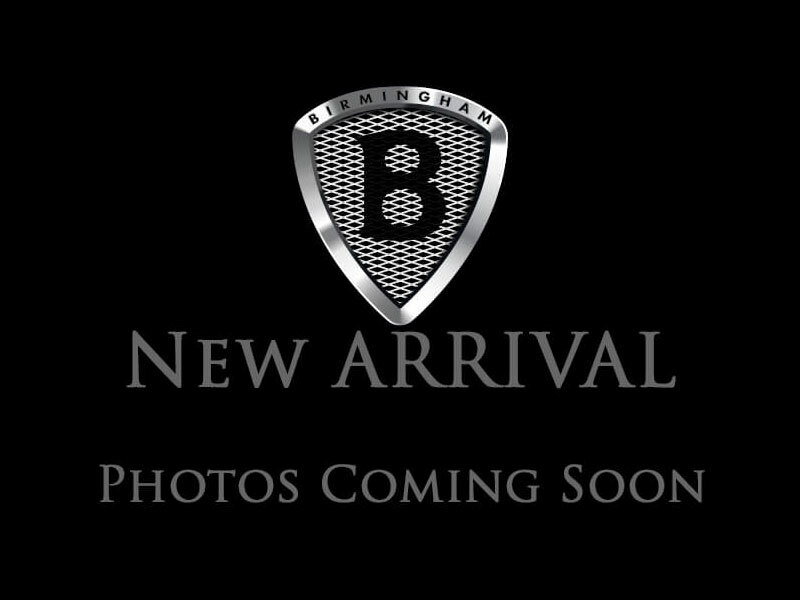 THIS VEHICLE IS LOCATED AT BIRMINGHAM LUXURY MOTORS *SOUTHSIDE* 3501 4TH AVENUE SOUTH BIRMINGHAM, AL 35222 Our impeccable 2014 BMW 750Li Sedan takes to the stage in Alpine White as a luxury cruiser that blends spirited driving with practical, everyday use. With its 445hp 4.4 Liter Twin Turbo V8 perfectly matched with a responsive 8 Speed Automatic, our rear drive sedan sprints from zero to 60mph in 4.7 seconds while attaining near 25mpg. You'll be enthused by its Driving Dynamics control that allows this athletic sedan to sweep around tight corners with confidence while offering a ride at the leading edge of comfort. The sleek silhouette of our 750Li sedan is impossible to ignore with its sleek 19 inch wheels and power soft-closing doors. Prepare to experience an adrenaline rush upon entering the elegant interior adorned with supple leather, rich wood accents and a fantastic sunroof. You'll maintain a connection to your digital world with our iDrive multimedia interface, Bluetooth, and a hard-drive navigation system with real-time traffic while admiring the superb 16-speaker surround-sound audio system. Picture yourself enjoying the sublime comfort of heated 14-way power-adjustable seats with side bolsters as you glide down the street in this well-engineered machine. It's not just about power and prestige though... BMW leads the world in innovative safety features that fill this sedan to keep you out of harm's way. Make a bold statement! Print this page and call us Now... We Know You Will Enjoy Your Test Drive Towards Ownership! THIS VEHICLE IS LOCATED AT BIRMINGHAM LUXURY MOTORS *SOUTHSIDE* 3501 4TH AVENUE SOUTH BIRMINGHAM, AL 35222 Now we're talking....this is THE great American sports car. It's thrilling to drive, with breathtaking acceleration performance and exceptionally tenacious grip for hard braking and high-speed cornering. How does more than 400 horses from the 6.2Liter V8 sound? Sweeeet in a very nice powerful, rumbling way! Not only do you get a unique exterior you get a well equipped interior. Loaded with luxury features like leather seats, keyless entry, and a multifunction steering wheel, this 6-speed automatic is in a class by itself! When it comes to high performance, it might be the best bang-for-the-buck deal on the planet. For the price of a midsized luxury sedan, this Corvette delivers supercar performance. It's easy to drive on a daily basis and maintenance costs are not outrageous. Come in and see us today to own your own little piece of heaven! Print this page and call us Now... We Know You Will Enjoy Your Test Drive Towards Ownership! THIS VEHICLE IS LOCATED AT OUR SOUTHSIDE LOCATION LOCATED AT 3501 4TH AVE S, BIRMINGHAM, AL 35222 This 2006 Chevrolet Corvette may very well be the best performance car bargain when compared to others in it's class. The exterior is HOT but there's more to this Corvette's appeal... check out the user-friendly cockpit, an incredible amount of space for your luggage, and a ride so nice that it's comfortable enough for daily commuting as well as ripping past everyone else on the interstate. (Just keep an eye on the posted speed limit, deal?) If you like to go fast, you'll become best friends with the 400-horsepower, 6.0-liter LS2 V8 that jump starts this Bad Boy's heart to life! A multitude of power from the V8 combined with a stable suspension will result in a perma-grin! Take a look at the pictures of this one and imagine how good you're going to look and feel behind the wheel! Remove the top, and you can enjoy open air cruising... just be ready to wave, too! Everyone is going to be straining their necks to get a good look at your Corvette! Think you have what it takes to control this Racy Corvette? There's only one way to find out... Print this page and call us Now... We Know You'll Enjoy Your Test Drive Towards Ownership! I would like test drive the 2016 BMW 3 Series, stock# T38245. I would like test drive the 2016 BMW 3 Series, stock# 615699. I would like test drive the 2016 BMW 5 Series, stock# 529592. I would like test drive the 2015 BMW 6 Series, stock# 325299. I would like test drive the 2014 BMW 7 Series, stock# 136418. I would like test drive the 2013 Cadillac ATS, stock# 146030-TD. I would like test drive the 2016 Chevrolet Camaro, stock# 192470. I would like test drive the 2014 CHEVROLET CAMARO, stock# 269373. I would like test drive the 2009 Chevrolet Corvette, stock# 108482. I would like test drive the 2006 Chevrolet Corvette, stock# 124295.